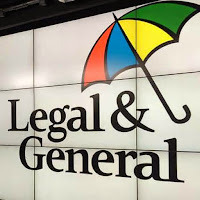 The Dividend Drive: BUY: Legal & General (LGEN)--Growth and Income Going for a Song? BUY: Legal & General (LGEN)--Growth and Income Going for a Song? Earlier this month I noted that I had received the XL shares element of the Catlin buyout. Well, yesterday I also got my cash element. As a result, I was sitting on about £670 that needed to be reinvested. A nice position to be in, I know. What to do with it? I had many thoughts. Mirror replacement income reinsurer: This would involve chucking more funds at the Amlin purchase replicating the industry sector that Catlin left. Dividend growth top up: I was thinking maybe topping up on one of my dividend growth holdings which have not moved much since being added. My thoughts here were WPP or Britvic. A mixture of the two: Here heading down an insurer route--not necessarily a specialist reinsurer--with a high income and high growth profile. Here I was thinking either of topping up my Old Mutual holding or opening one in fellow FTSE 100 peer Legal and General. In the end I plumped with option three and the opening of a new holding in Legal and General--which has seen some price weakness--rather than topping up Old Mutual. Why? Well let's take a look. L&G are a very multi-faceted multinational company. Like so many of their peers they have their fingers in many pies: insurance, pensions, investments and more besides. I first knew them from the insurance angle before nearly putting some cash into some L&G low cost index trackers. But their business houses a great deal more from investment trusts to a number of estate agent brands across the UK (including Ellis & Co., Parkers, C J Hole and Whitegates). They are thus quite diversified in terms of their financial services provided. What is more, although chiefly focused in the UK they have been looking to diversify geographical of late. The US and Asia being the two main focuses for this which seems to be occurring pretty rapidly and helping to underpin growth. 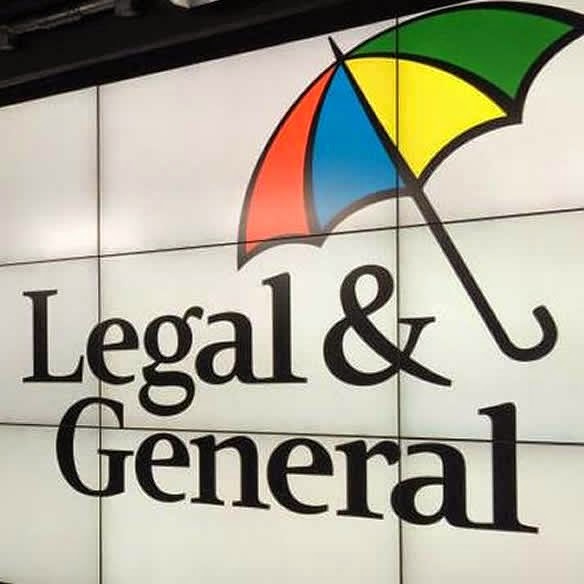 All in all, then, Legal and General is a diverse financial services company looking to become even more diverse. Sounds good so far. So let's take a look at the company from an investing perspective. First L&G look pretty good value. For this year and next analysts expect the company to have a PEG ratio of between 1 and 1.5 which is very healthy indeed. This is greatly helped by a pretty low PE valuation and an annual growth of about 10% which follows the annual trend since at least 2011. This seems pretty reasonable to me. The lowest prediction would see the EPS remain static from last year. However, even then a PE of 16 is not too extortionate. That being said, the lion's share of analysts see the strong EPS growth continuing into this year. Again, we see extremely good EPS predictions here. Even taking the lower estimates it is far from off-putting. However, assuming that the consensus predictions are closer to correct a PE of just over 13 looks top drawer to me. Certainly, some of its peers are trading at lower valuations (such as Old Mutual and Aviva). However, L&G still look good value at the moment. Legal and General--rather like Old Mutual--was forced to cut its dividend by about a third in the wake of the financial crisis. However, since then it has very confidently regained its reputation as a dividend stalwart with the dividend currently standing at about two times what it was at its pre-financial crisis peak. Indeed, since 2011 it has seen its dividend grow at an annualised rate of 20%. This is unlikely to continue at that pace, however, as this rate of growth was fed by a combination of growing EPS and growing payout ratio. However, now they have reached their target of getting dividend cover down to 1.5 times earnings. As such, any future dividend growth will have to run alongside earnings growth. Fortunately, as noted above, this is expected to continue apace for the immediate future. As a result, analysts anticipate dividend per share payouts of 13.1p and 14.38p for this year and next. This would throw out a yield of 4.86% and 5.33%. Unsurprisingly, they plan to keep the 1.5 times earnings coverage going forward. Other insurers have tended to have higher coverage ratios (Old Mutual is around 2 times earnings, Prudential about 2.8 times). This is my only concern with L&G. I wonder whether they have been a bit too keen with their payouts. However, as we shall see other considerations reduce my concerns with regards this a little. Elsewhere L&G looks equally healthy. Their debt to equity ratio is a pretty nice 0.61. Although not the lowest in the sector it is by no means a concerning figure. Similarly, they have very high levels of cash on hand. According to my calculations they have just over 380p per share in cash. That is 140% of its share price. This is much higher than most of its peers even though the sector--necessarily--tend to have high cash holdings. Old Mutual, for example, has about 50% of its share value in cash, Prudential about 15% and even Aviva's hefty 100% palls in comparison to L&G. It is largely because of this that my concerns regarding their higher payout ratio are somewhat allayed. Their predicted dividend of 13.1p per share is covered over 29 times by this cash reserve. Pretty impressive even if in the real world it would not be used for such a purpose! What is more, the company's increased focus on cash generation means that both the dividend and this cash reserve looks very safe indeed. So where does L&G fit with my investing goals for the year? Obviously the yield is a very nice contributor to my goals for the year. My target was recently revised to 1.25 times the FTSE All Share yield. Currently the FTSE All Share is yielding 3.24% which means my target is about 4.05%. L&G are already yielding well over that and with the hefty jumps expected this year and next it should very nicely keep me ahead of this for the year and beyond. However, despite this it does not contribute as much to my £800 dividend income target for this year. Currently L&G are ex-dividend for the Final dividend payment which means I will miss this payment. However, I will receive the Interim payment later this year. This should be at least 3p per share which should provide over £7 to my total for the year. Not too bad at all. Also, being another larger investment the amount of my investment which went on brokerage fees and stamp duty was 1.25%. This is nicely below my target of 1.3% or less for the year. Currently I am on track to easily achieve this goal and this purchase will help a bit as well. Unfortunately, because L&G are very sensitive to the economic environment their Beta value is rather high. 1.45 to be precise. As a result, this purchase does nudge me a little away from my target of 0.85 or less. That being said, I am still on target. Being another financial services company I also find myself noticeably overweight in this sector after having brought it down somewhat in recent months. I would like this to come down in time, however. Overall, I am very happy with my L&G purchase. Hopefully it will continue to prove a highly rewarding shareholder-friendly investment as it has in the past. Certainly, everything seems to bode well at the moment. Nice write-up and good luck with the new addition - your portfolio of dividend shares is building quite quickly. The Q1 report seemed positive earlier this month so fingers crossed for another good year. Thanks. Yes, I wish I had jumped in earlier with L&G. Although the investments I went into instead worked out quite well anyway! At the time I wanted to work out more about how the insurance sector worked behind the scenes before I invested. Yes, I suspect that a 10% growth in dividend will be more the new normal in the short/medium term. On a yield as healthy as L&Gs is, though, such a growth rate would see quite an uptick in income nonetheless! Yes, it was the Q1 report which made me reassess the company. Otherwise I would have likely topped up my Old Mutual. I noticed whilst researching that Neil Woodford chipped in more funds last month as well. It would not have changed my purchase if he had not, but always nice to see that sort of thing from someone whose methods I admire. Thanks. It has grown quicker and thicker than I had originally hoped which is good. Currently it is 30 holdings large (not including the forthcoming inclusion of South32 from the BHP demerger). I want to start thinking about bulking up positions rather than opening new ones. But it is easier said than done! I think 30 companies is comfortably diversified. However, I am heavier in some sectors that I would like to see decrease over time (oil and financial services chiefly). Hi DD, thanks for the review. L&G is definitely on my "buy list", but given the particular way I value companies it isn't quite there yet. The main reason is its lumpy track record thanks to the financial crisis, but if the company can continue along a steadier path for a bit longer then I'll probably end up buying if the yield stays as high as it is today and keeps growing at a decent rate. Probably still a good buy today though. My pleasure, John. Glad you found it interesting. I agree with regards the dividend record. At present--whilst I am still building and far from living off my holdings--I am fine accepting companies that cut their dividend during the financial crisis. However, they have to have shown an excellent record prior to that, an excellent one since (especially whether or not the dividend is above what it was pre-crisis) and in general I look that the cut was not too deep. L&G pass all those quite well. As I said above, I personally think they should have kept the dividend covered at about 2 times earnings. This could have helped them work their way through any similar situation in the future in my view. The massive cash reserves are interesting in this regard though. There have certainly been better times to buy into L&G (and probably more going forward!). However, I am happy to have dipped a toe already! May see you on the shareholder books shortly then!